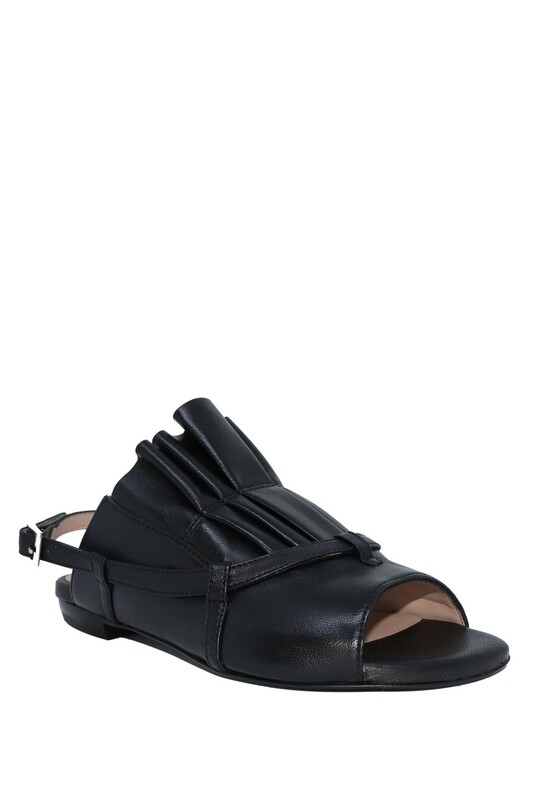 Sandals pleats instep. 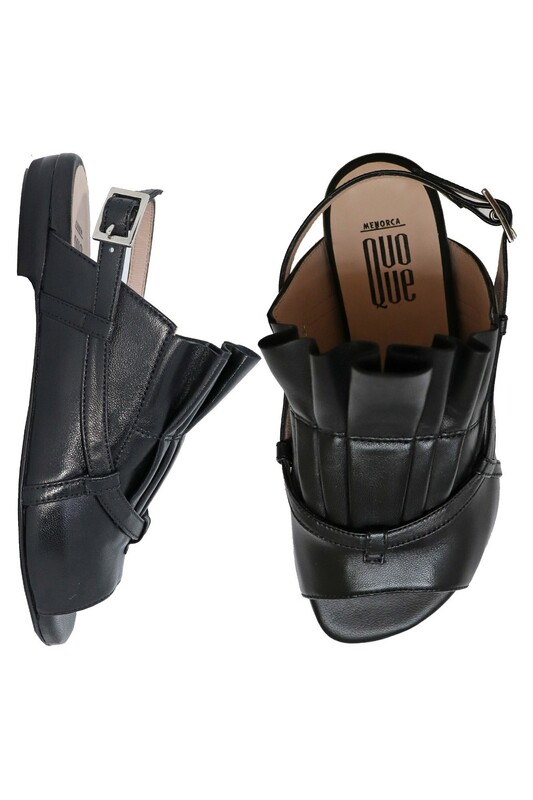 Nappa leather in black. Leather sole flat. Heel height 2 cm. Cushioned suede lined insole. Made in Menorca by artisans.